In this report, Chapter 1 contextualises the rise of data visualisation and its purported potential to stimulate a 'data revolution' in development. The specific contributions of data visualisation to research communication goals are discussed in Chapter 2. Chapter 3 explores instances in which data visualisation is an appropriate form of research communication, recognising that it is not a ‘magic bullet’ solution to the need for more evidence informed decision-making, but should instead be used selectively. Chapter 4 discusses ways to enhance the effectiveness of data visualisation. Lastly, Chapter 5, provides concluding remarks and highlights areas in which further research and discussion are required so data visualisations can be used to the greatest effect in the research communication sector. The ‘Digital Age’ in which we are purported to live provides us with instant access to a rapidly expanding body of data (Hey 2004; Gregson et al. 2015). Pepper and Garrity (2014, in Gregson et al. 2015: 15) estimate that, in 2014, 90% of the world’s stored data was collected in the preceding two years, while Hilbert (2014) reports that the difference in data availability in the late 1980s compared with 2014 was akin to the difference between a layer of newspaper versus four layers of books covering the Earth’s surface. This increase in data availability is a result of the proliferation of information gathering and processing capacity which, in turn, is closely linked to the proliferation of technology (Ishmael Perkins 2014). The increasing availability of data has led many actors to proclaim its potential to aid decision-making and increase accountability within the development sphere. Data allows us to monitor the outcomes of policies, to monitor national progress towards the Sustainable Development Goals and "to innovate and navigate towards better decisions" (Nigel Shadbolt, in Pearson 2015). Hilbert (2014) explains that analysing data and turning it into information that can help us make predictions could significantly assist development, particularly economic growth. This is because information can reduce uncertainty about the best course of action. For data to be useful and actionable, investments must be made in analysing that information and communicating it in a way that is “easy to use and practical” (Tatalović 2013). This, in turn, requires investments in mechanisms that enable non-data specialists to understand and use data (Kindornay 2015). One such mechanism for supporting the synthesis, communication and use of data is data visualisation. There is no single agreed definition of the term, but this report defines data visualisation broadly as “the visual representation of data in charts and graphs” (Kennedy 2015). Data visualisations range from simple static graphs and charts to complex interactives, but are united by the function of visualising data (Knezovich 2015). Data visualisations have gained prominence and popularity in recent years as a result of their perceived potential to render large data sets useful and actionable, and to communicate data in a visually appealing and engaging manner (Global Health Learning 2015; Gregson et al. 2015; Kwapien 2015). Leading media outlets such as the New York Times and the Guardian have made significant investments in growing capacity around data visualisation output in recent years, recognising the value of these products in attracting audiences and maintaining their position as industry leaders (Welsh 2012). Research institutions and knowledge intermediaries are following the trend, committing to the belief that data visualisation is an effective strategy for enhancing research uptake. SciDev.Net, for example, plans to increase production of data visualisation elements in stories by 60% between 2015 and 2016, while a search of the Overseas Development Institute’s site shows a six-fold increase in data visualisation from 2014 to 2015. Additionally, Internews has invested in visualising environmental issues through the InfoAmazonia project and InterAction has established an NGO Aid Map to show the geographical distribution of international development and humanitarian response investments. While investments and innovations in data visualisation are continually increasing, there has been a relative lack of critical discussion around their capacity to contribute to meeting certain objectives. There is also little thorough exploration of the ways in which data visualisations can help to inform decisions and contribute to forming more evidence-based policies and practices. As the researchers behind the Seeing Data project argue, “in spite of our increasing exposure to visualisations, and our reliance on their ability to tell us ‘truths’, we don’t know much about how people respond to them” (Seeing Data 2016). Given the growing availability of data, the investments being made in data visualisations and their purported potential to assist in evidence-based decision-making, an informed discussion around how data visualisations can contribute to impact and whether and when they should be used is required. The following sections seek to provide greater clarity around whether and how data visualisations support research uptake so the research communication sector can maximise their potential as a tool to support the application of data in development. 2. What can data visualisation contribute to research communication? 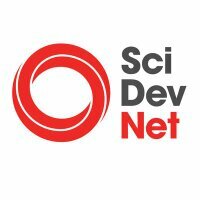 The ultimate goal of knowledge intermediaries such as SciDev.Net is to improve development outcomes by enhancing the application of robust research evidence to policy and practice. This goal is premised on the assumption that policies and practices that are informed by evidence are more effective at reducing poverty, enhancing wellbeing and stimulating sustainable economic growth. It is widely agreed that policymaking is non-linear (Shaxson 2010), meaning that the application of evidence to policy is not achieved through a single process. Indeed, an initial analysis of the impact cases submitted as part of the 2014 Research Excellence Framework Assessment found that over 3,700 unique pathways from research to impact were reported (King's College London and Digital Science 2015). While it is clear that research uptake is not a homogenous process, there is a large body of literature around 'sense making’, which seeks to shed light on the processes by which users select research, extract information and transform that information into action (see for example Russell et al. n.d.; Abraham et al. n.d.; DFID forthcoming). Within this literature, various stages or steps towards the application of evidence to policy and practice can be identified. These stages include selection, engagement and uptake (cf. Wang 1998; DFID forthcoming). While other stages – such as external checking and validation – can be identified, the following section focuses on these three stages as they are fundamental to the application of research to policy and practice and can be influenced by those who produce or publish research. However, it is important to note that, while data visualisations are well placed to encourage users to select, engage and apply research (discussed below), they are no ‘magic bullet’ for encouraging or ensuring the application of research to decision-making processes. As Abraham et al. (n.d.) point out, decisions are rarely based on a single research output or piece of information, and instead tend to be based on wider bodies of information, from which users compare and synthesise information, before deciding whether and how to use that information. While data visualisations can help support and encourage greater application of evidence to policy and practice, they are unlikely to offer a panacea for more evidence-based decision-making. Data visualisations have various adaptations to help them attract the attention of a wide audience and encourage that audience to ‘select’ them, including their wide reach, accessibility and speed of understanding. Each of these is discussed in the text below the box. While there is a lively debate over potential trade-offs between aesthetics and functionality (see for example Lima 2009; McMurray 2009), data on the readership of SciDev.Net articles supports the hypothesis that data visualisations have a wider reach than text-based products. In 2015, SciDev.Net published a range of articles which included data visualisation elements such as graphs and maps. These articles had, on average, 180% more unique page views (UPVs) 30 days after publication than articles published by SciDev.Net without data visualisation elements (see graph below). Much of this difference in reach between articles containing data visualisation elements and those that do not is due to social media. Research participants explain that data visualisations are very popular on social media as their visual form makes them attractive to audiences using these platforms. The reach of data visualisation is further enhanced by their ‘shareability’ on social media platforms. Reaching audiences is a fundamental first step in promoting selection, as audiences cannot select a product they are unaware of. Data visualisations can also enhance the likelihood that research will be selected from the pool of competing sources of information due to the ease and speed with which they can be understood. Data visualisations can support understanding by changing raw data into patterns and trends that the brain can understand more quickly. Data visualisation is not only well to reach a large audience, but also to help audiences understand what the visualisation is communicating. In SciDev.Net’s 2012 Global Review, over 60% of respondents identified ‘lack of sources of information that present S&T information readily usable for public engagement’ as a major challenge in engaging readers on issues related to S&T (Romo 2012: 35). Data visualisations help to address this gap by presenting data in a way that is easier to understand. Data visualisations enhance accessibility of data by changing the form of data from raw, unprocessed, discrete packets into key patterns and relationships (‘information’) (Ackoff 1999; Hey 2004; McCandless 2010). In doing so, audiences’ capacity to understand the data is enhanced. By reaching a large audience and supporting that audience in quickly understanding the data being communicated, data visualisation is well designed to prompt audiences to select the visualisation from the pool of information competing for readers’ attention. Done well, data visualisation can therefore be an effective format by which to get your research seen, selected and understood by a large audience. Engagement can take a variety of forms, including sharing, saving, commenting and ‘liking’ (cf. DFID forthcoming). Visualisations are well-placed to encourage readers to engage with research, as demonstrated by a range of webmetrics. In section 2.11, it was shown that articles published by SciDev.Net which contain a data visualisation had 180% more unique page views 30 days after publication. Similar trends can be observed in other engagement metrics. For example, articles containing data visualisation elements had 533% more retweets than articles without data visualisation elements (see graph below). There are a number of ways in which data visualisations are well suited to encourage engagement, including by facilitating interaction and prompting discussion. Data visualisations can support engagement with data by enabling the reader to interact with that data. The first way in which visualisations can support and encourage engagement with data is through the provision of interactive functions. As a result of software developments, data visualisations are becoming increasingly innovative. In particular, data visualisations with interactive capabilities are becoming more common, enabling users to explore and experiment with the data portrayed. Such innovations meet an expectation for greater interactivity, which is partly driven by the proliferation of touch-screen technology (Knezovich 2015), and encourage readers to engage with data presented in a way that is impossible in more traditional text-based outputs. Data on the extent to which audiences make use of interactive capabilities is difficult to obtain, but analysis of SciDev.Net’s The hidden digital divide interactive published as a stand-alone interactive by Dawn Pakistan shows that 91% of unique sessions had an ‘event’ of some kind (e.g. the ‘play’ button was clicked or the scatter graph function was used), indicating that readers make use of interactive capabilities. Data visualisations can also prompt engagement by stimulating curiosity in data. The visualisation to which Gichuhi refers provides information about the budget and county assemblies in Kenya, which “a lot of youth here find boring”, but in which interest was stimulated through the production of an engaging visualisation. This propensity towards discussion is amplified by the success of data visualisation on social media, where discussions tend to be livelier. Mott MacDonald, a consultancy firm that led an evaluation of online portals funded by the UK Department for International Development (DFID), explains: “With social media, the internet makes information sharing ‘real’ and real time: personal views and information can be shared and immediate feedback reinforces the sense of debate and dialogue” (DFID forthcoming). Through its popularity on social media and its propensity to drive discussion, data visualisation encourages readers to engage with the data presented. Again, data collected at SciDev.Net supports this idea that data visualisation encourages readers to engage through discussion: articles containing a data visualisation element had an average of 942% more comments on Twitter compared with those without such elements. Drilling down into this data, it becomes apparent that interactive data visualisations stimulate more comments than non-interactive data visualisations. In the sample discussed above, articles containing an interactive data visualisation element received 1,341% more comments than those that contained a non-interactive element, suggesting that interactive data visualisations are particularly well suited to stimulating discussion due to the scope for interpretation that they offer. All research participants emphasised the importance of following good design principles when producing data visualisations (discussed in more detail in section 4). This is vital to unlocking the potential of data visualisation to prompt readers to engage with research. While selection and engagement are valuable intermediate outcomes of data visualisation, the ultimate goal of research communication is to promote research uptake. DFID defines research uptake as “research findings being used in international decision-making, such as by policymakers or practitioners” (in DFID forthcoming). Prompting the application of research evidence to policy and practice is a notoriously difficult goal to achieve (Shaxson 2005), but data visualisation can support the step from selection and engagement to research uptake in a number of ways, including through interactivity, authoritativeness and by helping to cultivate a ‘culture of data’. In section 2.21, the propensity of interactive data visualisation towards greater engagement was discussed. As well as encouraging readers to engage with the data presented, interactive visualisations can help readers to practically apply that data to real-life decisions. Indeed, a lack of supporting mechanisms that take data from the confines of the research setting and into the real world is an oft-cited barrier to research uptake. In SciDev.Net’s 2012 Global Review, for example, over 50% of respondents cited lack of social, political or economic analysis as a challenge to applying information about science and technology to development-related activities (Romo 2012). Interactive elements enable users (including policymakers) to explore data in relation to specific questions. This is important as the needs of policymakers are “pragmatic, rather than academic”: policymakers need to know what policies have worked in other situations, and whether their success can be replicated in their own constituency (DFID forthcoming). By enabling readers to interact with data, visualisation helps to increase their meaningfulness and utility. Lima (2009) explains that, by enabling users to select specific data, play around with different variables or focus on certain geographical areas, interactive data visualisations can help readers identify and explore questions or issues that are pertinent to them. At SciDev.Net, we have used interactive capabilities in a number of our visualisations. For example, we produced an interactive visualisation of a data set comparing the performance (in terms of total yield in kilograms per hectare) of different bean types in two districts of Uganda. The data set and the resulting visualisation offers a large amount of information which, to the reader, may feel overwhelming. Click here to read and interact with this piece. Adding interactive capabilities, however, helps the reader make sense of the data. For example, a ‘hover’ function enables readers to easily access more information about each of the data points – in this case to get information about the origins of the bean and its yield. Adding filter options enables users to narrow down the visualisation so that the information portrayed is relevant to them. For example, a farmer in the Hoima district trying to decide what bean to farm in September-December could click on their district and the relevant season to narrow down the data shown in the visual. The farmer could then use the specialised filter function (on the right-hand side) to filter the data further to compare yields of a specific type of bean – for example the large red kidney bean which may be preferred by customers in that district – and select the bean that, historically, has had the highest yield in that season and that district. By bridging the gap between 'abstract' research and real-life decisions, interactive data visualisations are well adapted to promote and support research uptake. As Haque 2014 explains: "One of the best ways to make data more meaningful is to make it yourself." While it is impractical for every policymaker and practitioner to go out to collect data and conduct empirical experiments, enabling readers to experiment by changing parameters from already collected data helps to enhance the meaningfulness and utility of that data and the likelihood it will be acted on. Data visualisations can also support research uptake through their perceived authoritativeness – a factor found to be key in determining research uptake. Data visualisations also support research uptake through their perceived authoritativeness. Over 85% of respondents in our Global Review identified ‘authoritativeness’ as a valuable attribute that helps support research uptake (Romo 2012). Authoritativeness of research is closely linked to ‘trustworthiness’ and involves credibility, reliability, reputability and accuracy (Romo 2012). The importance of the perceived authoritativeness of research was also identified as a key factor in research uptake by a systematic review of barriers to and use of evidence by policymakers (Oliver et al. 2013). As the next two sections indicate, interactivity is not the only way in which visualisations can promote uptake. This sentiment is supported by data collected by the Aberdeen Group, which found that 64% of interactive visualisation users and 39% of static data visualisation users had improved trust in the data on which the visualisation was based after viewing/using the visualisation (Krensky 2014). This data was derived from a survey of 676 data visualisation users – 227 of whom used interactive visualisations and 449 static visualisations. Thirdly, data visualisations can support research uptake by helping to establish a ‘culture of data’. They can do this by making the public more confident in understanding and using data which, in turn, can stimulate greater demand for the use of data in decision-making processes. By increasing the accessibility of data (section 2.1), visualisations help readers become more ‘comfortable’ and engaged with data (section 2.2). Data therefore becomes ‘currency’ in public discussions and debates, creating a sort of culture of data in which the utility of data to decision-making processes is better appreciated by the public, leading to greater demands for data to be applied to decisions around policy and practice (cf. DFID forthcoming). Thus, the contributions of data visualisation discussed in this section – selection, engagement and uptake – come together to stimulate public demand for more accountable, evidence-based decision-making. As noted earlier in this report, policymaking is a non-linear process that is influenced by a number of different factors (Shaxson 2010). Because of the complex nature of the policymaking process, hypotheses about research uptake are difficult to test. This section has suggested ways in which data visualisation can promote research uptake, based on research participants’ observations and existing literature, but it should be noted that these are largely hypothetical, rather than empirically proven. This section has discussed the contributions of data visualisation to three major research communication goals: selection, engagement and uptake. The wide reach, accessibility and speed of understanding of data visualisation were described as key attributes in encouraging readers to select visualisations from the pool of competing information with which readers are faced and to get more ‘eyeballs’ on the research findings. The interactive capabilities of data visualisation were discussed in terms of stimulating curiosity in and prompting discussion around research findings and, in doing so, enhancing readers’ engagement with research. Finally, the interactive capabilities of visualisations were also described as facilitating research uptake by helping to address the pragmatic needs of policymakers and practitioners. The perceived authoritativeness of data visualisation was also found to be a key factor in promoting research uptake, while the capability of data visualisation to generate a ‘culture of data’ in which the public demands greater application of evidence to policy was also discussed. 3. When is data visualisation an appropriate form of research communication? "Just because we can visualise data (and yes you can visualise the majority of it) doesn’t mean we should"
With this in mind, the following section discusses instances in which more complex, interactive visualisation is an appropriate form of research communication and a logical investment to make. This section focuses on so-called ‘next generation’ visualisations (i.e. interactive visualisations) as opposed to static visualisations, as the former generally require more significant investments – both in terms of time and money – than the latter, which can typically be quickly produced using readily accessible programmes such as Excel (cf. Gatto 2015). The following section discusses three instances in which data visualisation can be appropriate for research communication: 1) when you have high-quality data which you want the user to explore, 2) when the audience has the capacity to effectively understand visualisations, and 3) when your organisation has the capacity to produce visualisations. For data visualisation to be an effective form of research communication, you must have a high-quality data set. Data visualisation can be particularly appropriate where the data set is complex. Even if high-quality, accurate data is available, data visualisation is not necessarily the optimal form of research communication. For example, where a data set tells an uninteresting or unsurprising story that could be communicated in a few sentences, investment in a data visualisation is unlikely to pay off (Dr Tom Smith, UK). However, where an interesting and high-quality data set exists, visualisation can be an appropriate form of research communication. In particular, data visualisation can be an optimal format when the data set is complex (e.g. contains a number of different variables showing a number of patterns and trends). In this instance, an interactive data visualisation which enables the user to sort, filter and explore the data can be appropriate as it enables more information to be communicated in limited space compared with text (Gatto 2015), as demonstrated through the discussion of SciDev.Net’s visualisation of bean yields in two districts in Uganda (section 2.31). Audience capacity is also crucial in determining whether data visualisation is an effective form of research communication, because visualisations require users to have certain skills. Considering the time an audience can dedicate to a visualisation is particularly important when designing a visualisation for policy audiences. As discussed in section 2.12, policymakers are time- poor, putting a premium on research outputs that do not require large time investments on the readers’ part. Decisions regarding the production of data visualisation must therefore be guided by the audience’s capacity to access, use and understand visualisations. As well as audience capacity, data visualisation requires the producer to have a certain capacity. In particular, teamwork and organisational buy-in are important in the production of data visualisation. Finally, decisions regarding investments in data visualisation are influenced by the degree of organisational buy-in. The production of data visualisation – particularly more-complex, interactive examples – requires an array of different skillsets, many of which are not traditionally associated with research communication. Among the skills required are data analysis (to clean data and draw out trends and relationships within the data), visual design (to create a visually appealing product), digital skills (to create the product) and storytelling or journalism skills (to explain the significance and implications of the data) (Knezovich 2015). Branching into the production of data visualisation requires an element of experimentation, learning-by-doing and investments in building staff capacity. To produce data visualisation therefore requires organisational buy-in. Teamwork is therefore essential to ensure that the data visualisation does not mislead or misinform the reader. If the integrity of the visualisation is compromised through poor data analysis, poor design or poor storytelling, its potential to contribute to research communication goals, discussed in section 2, will not be realised. This section has discussed the necessary conditions for data visualisation to be an appropriate form of research communication. Firstly, the availability of high-quality, interesting data was identified as a precondition producing data visualisations. Audience capacity to access and understand data visualisation was also discussed as a requirement, as was the need for the availability of bandwidth and technology among the target audience to be consistent with the design of the visualisation. Finally, production skills, teamwork and organisational buy-in were identified as necessary conditions on the production side to ensure that data visualisations have integrity and do not mislead or misinform readers through poor design or poor data analysis (cf. Burn-Murdoch 2013). 4. How can data visualisations be used to the greatest effect? Where data visualisation is deemed an appropriate and valuable form of research communication, a number of factors can help to maximise the potential of the visualisation to contribute to the research communication goals discussed in section 2. These factors include timing and subject relevance, contextualisation and knowledge of audience, and design integrity. What follows is a series of hypotheses based on the experiences of research participants. These hypotheses have not been empirically tested. More user testing is needed to identify a full set of factors that influence the effectiveness of data visualisations and help producers create visualisations that have the greatest impact. Data visualisations are most effective when they are based on topical issues. "The story of the infographic should be one of the recent issues which matters to the public opinion"
The importance of subject matter and its relevance was also identified in the Seeing Data project, which assessed the factors that influence readers’ engagement with visualisations. Andy Kirk (2016) – a researcher on the project – explains that visualisation practitioners must consider topic interest when designing visualisations. Where interest in the topic is low, visualisation practitioners need to think about ways to create appeal and persuade readers to engage with the visualisation. Data visualisations should be tailored to the target audiences’ interests and needs to be most effective. While timing and subject relevance are, to some extent, dependent on extraneous factors, effectiveness of a data visualisation can also be enhanced by contextualising data and, in doing so, enhancing the meaningfulness and utility of the visualisation. Contextualisation is imperative to demonstrate to the reader why the data matters and guide the user towards research uptake (the application of data to policy and practice) (Murray 2013; Thumer 2016). The role of storytelling in contextualising data and drawing out its wider implications was highlighted through SciDev.Net and INASP’s joint data challenge. The competition asked for researchers to ‘pitch’ their data. One of the winning data sets, which profiles a solar water heater installation at the Tenzinling Hotel in Paro, Bhutan, provided comprehensive data on various dimensions of the solar water heater (such as average incoming and outgoing water temperature per hour and average cloud cover). But a stand-alone visualisation of that data set was of limited relevance and applicability to SciDev.Net’s audience. By contextualising the data set within Bhutan’s changing energy markets, the story of the data set (which described solar energy’s potential to replace hydroelectricity as the country’s main export) was contextualised. The resulting data visualisation was more meaningful and more useful to a larger audience than an uncontextualised visualisation of the data set would have been. Contextualising data therefore plays an important role in enhancing the effectiveness of visualisations, but doing so requires a clear understanding of the target audience (Global Health Learning Center 2015). Understanding the audience and designing visualisations that speak to their interests and requirements will enhance the likelihood that the visualisation will be read, engaged with and used. Contextualising data and telling the story of its relevance and implications is a central component of an effective data visualisation, but requires that the story being told is tailored to the target audience while remaining true to the original data. Design integrity also influences the effectiveness of a data visualisation. Those that follow good design principles and provide clear links to the original data are likely to be most effective. Research participants point out that a growing body of online users 'police' data visualisations, highlighting inaccurate or misleading examples. For example, Flowing Data – a website that provides tutorials and guides for data visualisation production has a Mistaken Data section that profiles visualisations that are poorly designed or based on misleading data. For example, they highlight visualisations which over-emphasise the difference between groups by using truncated Y axes (i.e. a vertical axis that does not start at 0) (see this blog post for example). "It’s prudent to share the source of the data"
This sentiment is echoed by Lulu Pinney, freelance infographic designer and author of Telling Information, who notes that providing a link to the full report or data set enables the reader to assess the credibility of the data for themselves (see also Lima 2009). As well as enabling readers to assess the quality of data for themselves, trustworthiness can be increased by publishing your visualisation on a reputable platform, for readers often judge the quality and reliability of data based on the reputation of the publishing outlet and supporting foundations (Kennedy 2015; DFID forthcoming). Clearly citing reputable associated or supporting organisations such as international donors can also be used as a proxy for trustworthiness, increasing the readers’ confidence in the reliability of information provided. This section has discussed ways in which data visualisation can be used to greatest effect. Firstly, timing and subject relevance were discussed as influencing factors in determining the impact of data visualisation, and the benefits of creating a ‘buzz’ around unfashionable issues prior to publishing a data visualisation was briefly touched on. Contextualising data within broader issues or concerns was also discussed as a strategy for enhancing the effectiveness of data visualisations, and the corresponding need to know your audience was explored. Finally, design integrity – particularly citing the source of the data – was discussed as an important way to enhance the effectiveness of a data visualisation. Data visualisation is a rapidly growing area of investment and interest, both within the research communication sector and the broader media landscape. This report has explored how data visualisation can contribute to the goals of research communication. These contributions are potentially significant, particularly in terms of generating greater public demand for evidence-based decision-making and supporting decision-makers to access, understand and apply data to policy and practice. While the potential benefits of data visualisation are significant, concentrated and informed discussions around what data visualisations can add to research communication efforts and how these contributions can be achieved has been lacking. This report has attempted to address this gap by putting forward a set of hypotheses regarding the benefits of data visualisation and the appropriate use of such visualisations. These hypotheses require further empirical testing and scrutiny so researchers, research communicators and journalists can make more-informed decisions about investing in data visualisation production. Empirical data on the relative benefits of data visualisation – compared with other forms of communication such as text and multimedia – to different research communication goals is needed to enable more-informed decisions about when to invest in visualisations. Empirical data on simple webmetrics, such as unique page views, shares and likes, would go some way to understanding the benefits of data visualisation (particularly in terms of promoting the selection of research outputs from the pool of information available to online users), but this would require it being shared between organisations. Information on the extent to which data visualisation can contribute to research uptake is more difficult to obtain and requires analysis of user behaviours. Investments in such studies could make important contributions to understanding the pathways to research uptake and the role that data visualisation can play in promoting greater application of evidence to policy and practice.